Neverending fun is guaranteed with our Movie Games! The best movie free games are waiting for you at Miniplay, so 3... 2... 1... play! Know our Rocky Balboa Games, Justice League Games and Spiderman Games, choose between lots of games and press play! Evil Jigsaw has kidnapped the Simpsons. Fortunately, Lisa was in the library, and now she's the only one who can save her family. Homer's family has been kidnapped by evil puppet Pigsaw! He's holding them captive somewhere in Springfield. Help Homer find and rescue Marge, Bart, Lisa and Maggie! Rescue Mary Jane You have to rescue your girlfriend she's been kidnapped by evil Venom. Control an amazing spaceship across the galaxy and put your skills to test! Enjoy the great controls as you try to make it as far as you can through the hardest stages. Collect coins, upgrade your ship and aim for a Millennium Falcon! This game is based on the classic movie from 1988. Control a young wizard named Willow, who enters a dangerous forest full of enemies trying to save a baby called Elora Danan, claimed by evil witch Bavmorda. Can you complete your mission and crush her evil plans? Enjoy this 90s classic based on the most renowned basketball movie of all times! Join Bugs Bunny and Michael Jordan in this thrilling browser version. Face a tough alien team in a basketball match with the help of the best NBA players at the time. Score and win to save the Looney Tunes! Enjoy this epic platformer where you must join your favorite heroes and face evil corporation Hydra, led by Red Skull. Your enemies are involved in a very dangerous experiment, so the Avengers must do what it takes to collect enough information to stop them. Control Iron Man, Thor, Hulk and Captain America and use their skills wisely to accomplish your mission! Do you know what 'paraskevidekatriafobia' means? It's 'fear of Friday the 13th'! Enjoy this game based on the 1989 classic, Friday the 13th. Find and defeat evil serial killer Jason Voorhees. Along the way, you'll find cabins, a lake, caves and even a forest... But they are packed with zombies, crows and wolves. Upgrade your weapons and survive! Where is that guy? Help Ray McQueen enjoy this thrilling race! Join the Thunder Hollow Speedway and rush to the goal line. Collect coins and power-ups and clear every round in the first place! Help our brave Aladdin run way from the royal guards around Agrabah! Dodge obstacles, collect coins and get as far as you can. Control these little Lego ninjas and lead them across the sky using a catapult! Make them go as far as possible while collecting coins and have fun. Help Ninjago's Lloyd clean his fridge! Fight last week's pizza, curdled milk cartons and all sorts of nasty food with your sharp katana -- aim for a high score! Drive neon motorbikes in this game inspired by 'Tron'! Draw rainbow trails in order to block and obliterate your enemies. Have fun! Drive cars that starred in famous movies in this unique racing game! From the SUV in 'Jurassic Park' to the Batmobile, you'll find them all here! Each stage comes with a unique mission, so manage to get the 3 stars you need to unlock new vehicles! Get ready to face the scariest escape game ever! Try to solve all kinds of difficult puzzles in order to free the two men trapped by evil Jigsaw. Don't get Jeffrey and Michael killed! Guess the title of the movies in these parodies and have fun! Pay attention in order to choose the right answer! Are you ready to take a few pictures of Batman and his friends? Do it with the perfect timing and get as many points as you can in order to climb the rankings! Do not let their enemies appear in their pics, though! Help the Guardians of the Galaxy make their way across the citadel. Get the reward offered for a dangerous criminal -- shoot your enemies or dodge them whenever necessary in order to reach him! Get ready to meet the biggest heroes and villains in comic history in this unique 8-bit version! Try to correctly type the name of over 200 comic characters in order to clear every stage. Remember who they are, unlock the trophies and put your knowledge to test! Get on your X-Wing and be ready for some Star-Wars level action! Face the dark side and avoid being hit by their missiles. Put your reflexes to test and don't let the bad guys win! 'Lego Star Wars II: The Original Trilogy' is here! Control a brave Jedi and save the world from the Dark Side! Collect items and power-ups on your way, use the Force and your lightsaber when you need them and defeat your enemies. May the Force be with you! 'The Secret Life of Pets' will be in theaters soon, so Ilumination has released this unique avatar creator. Customize your favorite characters' features and create your very own dream pet. Playing on August 5th! Try to remember the exact path the Millennium Falcon follows to travel the Galaxy! Pay attention to your surroundings and try not to get lost in this increasingly difficult game. There's a lot of work to do in Lego City -- complete missions, collect bricks and start building! Go after the bad guys to keep the city free of crime. 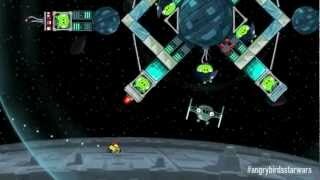 Join Obi Wan Kenobi in his difficult task - facing all kinds of enemies along the corridors of the Death Star. Jump on the platforms, try to survive and dodge the robots' attacks in order to get them with your lightsaber. Will you manage to reach Darth Vader? Good luck! Sabine Wren fell while she was spraying the Rebel Alliance logo on her spaceship! You're her only hope now. Cure her wounds, extract the fragments that got into her skin, help her bones heal and have fun! 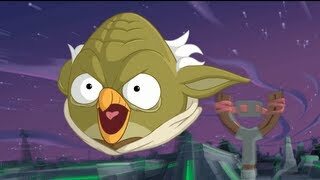 Travel to Dagobah and learn the ways of the Force with Yoda, the Jedi master! Control Luke Skywalker and help him complete his tough Padawan training in order to become a Jedi himself. Face challenging tasks and purchase upgrades. May the Force be with you! Are you a Star Wars fan? Then try this two-player game! One of you will control Han Solo and help him run away from evil Kylo Ren, while the other will control Rey, who can use the Force to move the platforms and help Han survive. Good luck, players! Turn your smartphone into a true Jedi lightsaber and don't get caught by your enemies! How far will you go? Get rid of waves of Stormtroopers and enjoy this unique game developed by Google due to the newest Star Wars movie release. Have fun! Since the new Star Wars movie is coming, we think it's time to relive yet another Lucas Arts classic! 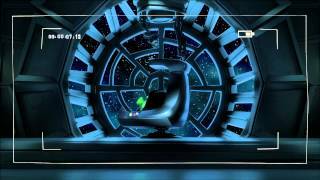 Control either Anakin Skywalker or Obi-Wan Kenobi in several scenes in order to complete the missions. Clear all 17 stages and obliterate Jedis, droids, clone soldiers and neimoidian forces. Have fun! Help Kevin feed the Minions on the golf course with candy. Control your timing and try to get as many points as you can! Have fun! Gru, the biggest villain, is planning the biggest robbery in the world! Help the minions find and collect weapons and gadgets for the mission. Dodge your enemies and obstacles and try to survive. Good luck! Help Po, the main guy in Kung Fu Panda, complete this hard training! Daily practice makes perfect, so try to stay fit and be ready for sudden dangers. Have fun! Help the Transformers survive all kinds of dangerous attacks! Jump, shoot and become a truck in order to increase your power. Collect coins and spend them on ammo upgrades! Help this dinosaur escape from the Jurassic World theme park! 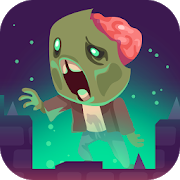 Obliterate the electric fences and collect money and power-ups in order to reach even further. Good luck! Enjoy yet another computer adaptation of a classic published by Sega in 1993 after Jurassic Park took over cinemas all around the world. In this game you'll have to help the main guy survive the attacks of dozens of dinosaurs. Join Alan Grant in his wonderful adventure! Shoot, find ammo and health packs and run away if the dinosaur is too big! Choose your favorite spaceship and fly around 7 different planets. You'll need to find an exit in each one of them, so obliterate your enemies and collect the three parts of the spaceship you need. Good luck! Join the Guardians of the Galaxy in order to save your planet from evil Ronan. Choose any of the main characters you manage to unlock! Jump, collect Lego pieces, dodge all kinds of obstacles and manage to survive in each stage. Good luck! Enjoy this 3D version of Tron! Ride the most amazing futuristic vehicles at over 125 mph. Choose your favorite color and race against the computer or another player! Dodge your rivals and their trails in order to become a winner! Help Baymax and Hiro find all the chips in each stage and dodge the dangers. Both single-player and two-player modes are available, so good luck! Help Phineas and Ferb arrange the most awesome machines to collect moisture from the broken vaporizers! Take a look into the new Star Wars universe. Have fun! Help Mowgli reach his village safe and sound! Jump, dodge obstacles, collect bananas and beware of your enemies. Enjoy an adventure by Baloo and Bagheera! This is how we used to play back in the 80s. Can you imagine these simple graphics being the latest thing? Enjoy yourself with one of the most popular MS-DOS classics, developed and released by Atari back in 1983. Control a space simulator as Luke Skywalker and feel the adrenaline in your veins inside an X-Wing. Relive the attack on the Death Star! Play online without having to download any files! Enjoy 'Indiana Jones and The Last Crusade', one of the most popular MS-DOS classics. Join Indy in a journey full of adventures all over the world. Unveil the mysteries around the Holy Grail and get rid of the nazis that will try to do some evil. Have fun! Our friend Po the panda has completed his training and is ready to fight! Get rid of the enemies of the Chinese people. Remember master Shifu's teachings in order to defeat them! Enjoy yet another classic from the 90s, The Lion King! Complete all kinds of stages set around the jungle, help Simba tackle the obstacles he finds and obliterate your enemies by jumping on them or scaring them with his roar. Don't forget to collect power-ups! Control some of the characters from The Hobbit - such as Legolas, Tauriel or Bard - and get ready for a great adventure. Defend yourself from hordes of evil orcs using a bow and arrows. Aim and shoot if you want to survive! Good luck! This game is based on The Hobbit, the recently released movie. Choose one of the four armies and let the battle begin! Defeat the orcs you find in your way and switch characters in order to survive for as long as possible. Defeat evil Doofenshmirtz and his stormtrooper minions with the help of Agent P, also known as Perry the Platypus! Get ready to jump, dodge and enjoy an action-packed adventure. Good luck! Customize your robot with a shiny armor and patrol the sky looking for coins and enemies. Obliterate the bad guys and show no mercy! Try to keep unlocking new stages and characters as you enjoy Big Hero 6! Enjoy a thrilling platformer based on The Hobbit. Control Gandalf the Grey and help him defeat the Goblin King. Tackle the obstacles and fight against powerful enemies! In this fighting game Marvel characters are the fighters! Choose between Wolverine, Ironman, Hulk, Spiderman or the X-Men. Finish the tournament to unlock new characters. Both single-player and two-player modes are available. This game was inspired by Tron. Both single-player and two-player modes are available. Evil puppet Pigsaw has kidnapped Bart Simpson in his own school. He's trapped with the evilest characters from Springfield! Help him find a way out before it's too late. Control the sweetest and fastest girls from Wreck-It Ralph and take part in this thrilling race. Speed up along the track collecting bonuses like in Mario Kart games and try to reach the goal before your rivals do! This game was inspired by 300, the movie. Complete all fifteen levels getting rid of the enemies you come across. Enjoy yet another Sega classic from the 90s, Aladdin! Visit the stages set on movie locations, such as the streets and roofs of Agrabah, the Cave of Wonders, the dungeons... Collect apples, dodge the guards and beware of the traps. Have fun! Help Wolverine escape from the MRD. Use his skills to solve all kinds of problems, avoid the cameras, dodge the laser beams and find the keys to unlock the doors. Choose between Anakin Skywalker and Asajj Ventress. Enter the fascinating world of Star Wars and find your R2 D2! Unity 3D plugin required. Help Spider-Man go around town and dodge the obstacles. In this impressive 3D game you'll have the chance to save planet Earth fighting the Kaiju, some alien monsters that are coming from the ocean. Get ready for some action! 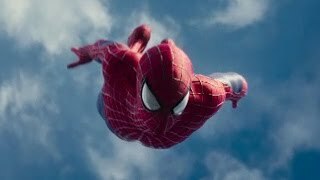 Help Spider-Man hang around the buildings in New York. Beware of the obstacles you find on the way! Help Batman and Superman catch the villains, who are a threat for their city. Run on rooftops and get them! In this fun first-person action game you'll control a soldier who is in charge of a hero squadron. Jump out with other paratroopers and run away from Godzilla across a devastated San Francisco. Try to rescue the few survivors you find and have fun! Help this dark Spider-Man dodge the obstacles he finds around town. Prove you're the best hero by catching thieves after thrilling chases, putting out fires and saving castaways from dangerous sharks in the amazing Lego City. The Cobblebot Caper Free Gotham city from the criminals lead by Penguin. Master Splinter is training the young Ninja Turtles! Try to learn and copy the moves he teaches you. How many of them will you be able to remember? Evil Pigsaw has sent Obama's family back in time using a time machine. Help them go back to the White House! This is a promotional game for the most exciting movie this Christmas. Bat the baseballs and try to behead all the zombies that are coming for you. Naked Skate Run away from the cops while you skate completely naked on the streets of Springfield. Do some tricks! Travel around Tokyo, London and many other cities with Lightning McQueen, Carla Veloso, Max Schnell and other characters from Cars 2. Try to become the fastest car in the world! Are you ready? 300 is back in this amazing 3D fighting game. Get ready for a deadly battle against bloodthirsty gladiators on a ship. Defend yourself and show no mercy! Choose one of the characters from Tron Legacy and customize them as you please. Join a disc battle and dodge your rivals' attacks – aim carefully and defeat them all! Iron Man is back to protect our planet! Defeat your enemies their technology is more advanced, but they lack your incredible skills. It's time for Ghost Rider to harvest the souls of evil men. Use his chain to defeat them and destroy everything you can. There are three modes available: motorbike, truck and hellish crane! JJ wants pictures of Spider-Man! Search the streets and find him hidden amongst people otherwise you'll be fired. The Killing Floor This is a terrifying game based on Quentin Tarantino's movie. Run through the rooms and save those who are about to be executed. This game is based on episodes 4, 5 and 6 of Star Wars. You belong to the rebels and must get rid of anyone from the Empire. New levels available! Aim with your bow and break the ropes hanging from the gallows before the characters turn purple, just like Robin Hood did to save his friends. Spider-Man needs your help to cross the city on his new bike. Once the race is over, you'll unlock new and better bikes. Are you ready to speed up? The strongest mercenaries are back, more eager to fight than ever! Obliterate your enemies with explosions, tanks and all kinds of destructive weapons. Are you ready for some action? Help Spiderman protect these lab equipments against evil Magneto. With the help of the Sentinels, Magneto is ready to steal all the materials he can. Show him no one can beat Spiderman! In this version of classic Rampage, Dr. Octopus is the player character. Destroy the city and get rid of the agents standing in your way. Fight crime in Gotham with Batman. Jump from the roofs and surprise your enemies fighting them on the top of buildings. Choose one of the characters from Madagascar 3 and take part in this race, similar to Mario Kart's. Gather all kinds of items and use them against other drivers to win. Unity 3D plugin needed. This amazing game is based on a sci-fi movie, 'Edge of Tomorrow.' It takes place in a near future where an alien race has come to Earth to get rid of humans and settle down. 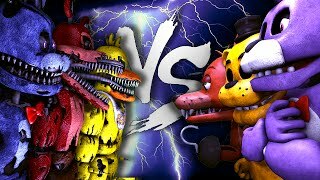 Fight them and die over and over again until you manage to defeat their leader! 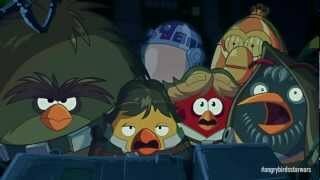 Rekindle the most renowned Star Wars scenes! You have the chance to choose between both sides of the Force: the Dark side, ruled by Darth Vader, or the rebel side, lead by Grand Jedi Master Yoda. Join 4 epic space battles and manage to collect holocrons in order to defeat your enemies. May the Force be with you! Enjoy this version of the skill game based on Tron, the movie! Drive across a grid and try to block your rivals. Jump above the trails in order to dodge them and become a winner! Enjoy this fun racing game based on the Lego Movie in two different stages, Legopolis and The Wild West. Get advantage using the power-ups you find, try to destroy as many bricks as possible and get rid of the annoying policeman. Rescue your friends and try to stay safe and sound! Enjoy this game based on Star Wars: The Empire Strikes Back that was released in 1993 on Super Nintendo. All characters have new skills - when you play as Luke Skywalker, you can choose between the lightsaber or the gun, Han Solo can launch grenades and Chewbacca can spin. Are you ready? May the Force be with you! Choose your favorite Kung Fu Panda character and their mate. Help them fight organized crime in this kingdom. 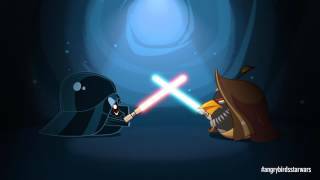 Angry Birds Star Wars official gameplay trailer - coming November 8! 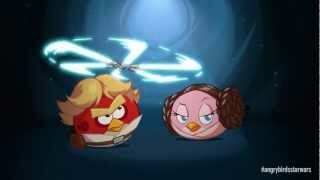 Angry Birds Star Wars 2 Telepods Commercial - out September 19! 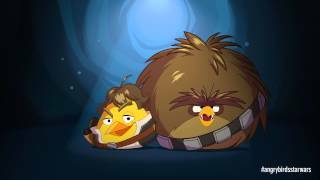 "Join the Pork Side" in Angry Birds Star Wars 2 - coming September 19!